The Television Centre team has today announced three winners of the local school hoarding competition, which was launched in January. 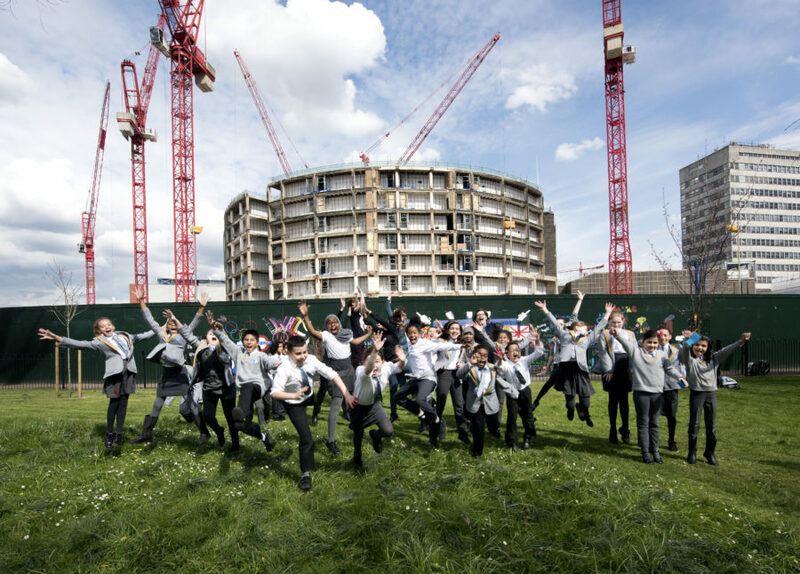 The competition was launched to find exciting designs from local school children for the Television Centre hoarding that runs alongside Hammersmith Park. Over 50 primary school children entered the competition and the Television Centre team had a difficult task in choosing only three winners. “We would like to thank all the children that took part in the competition and we were really impressed with the quality of the submissions. Unfortunately we could only pick three winners but there were some really fantastic designs. It was great to see so many interesting ideas for Television Centre’s new hoarding, ranging from the Olympics and the heritage of the BBC to local shops and cafes. Deewa Yousofi from Year 6 Exeter Class at Ark Swift Primary School based her entry on human history and the improvement of buildings under the motto “we’re always improving”. Michelle Fareta from the same school designed an ideas board, featuring the 1908 Olympics and Queens Park Rangers, the White City-based football team. Unashe James from St Stephen's Primary School designed an image featuring three BBC News presenters on a colourful background. 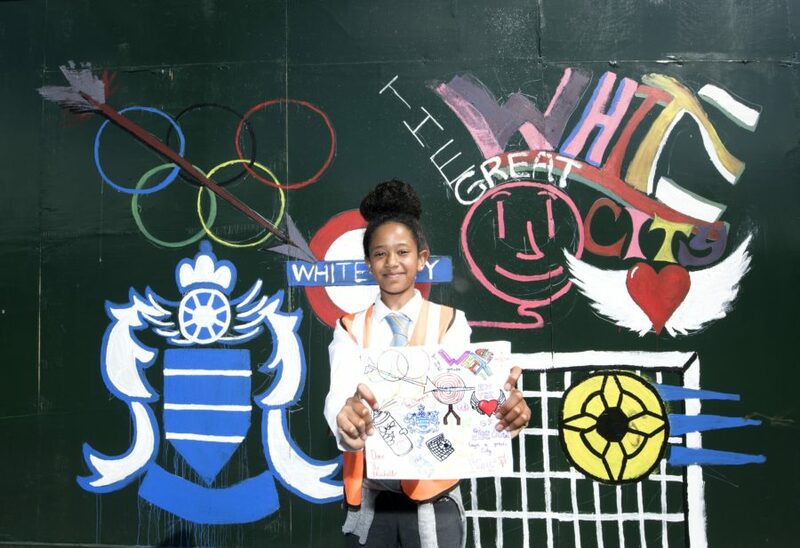 Winners and their classmates were given the chance to help paint the winning designs onto the Television Centre hoarding, exhibiting their work to the local residents of White City. They were supported by Liam S. Rickard and Samme Snow, artists working with Big Lottery Fund project, somewhereto_, who were on hand to help with the painting. The children also took part in a White City quiz to test their knowledge of the local area.